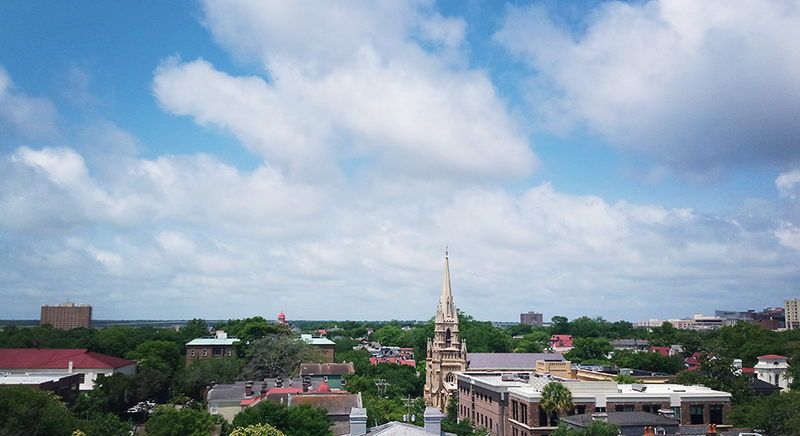 Over the weekend we headed to Charleston. On Saturday the All-Stars played the Low Country High Rollers. It was a tough game, but we were thrilled to pull out a win! Yayness! Unfortunately after my camping trip I had a severe allergic reaction to some sand flea bites. It was horrible, and painful. I’m still on medication and the marks are all still there, but at least the itching and burning has subsided. Although we were already in Charleston Saturday morning (we got in late Friday night), we didn’t have too much time to enjoy the sights. We spent the morning looking for compression socks for me so that I would at least minimize the pain when putting on skates and playing derby later that evening. 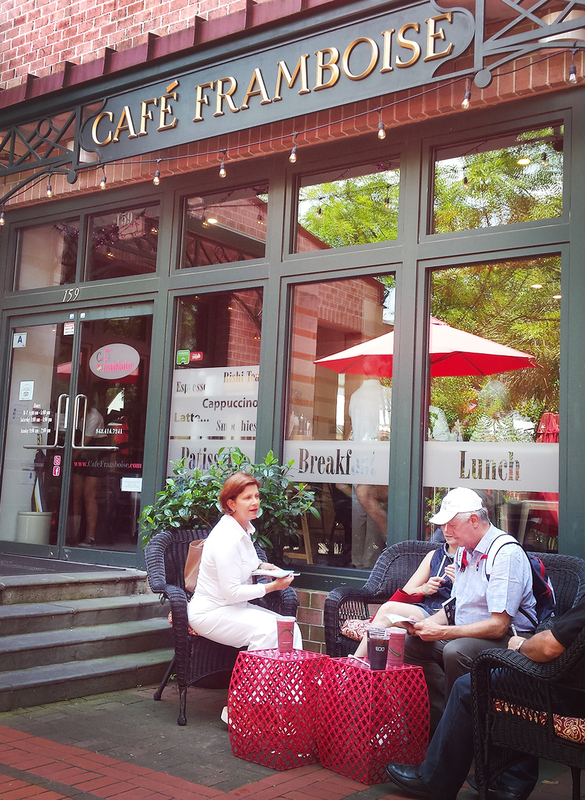 We did wander around downtown a little though and grabbed a delicious panini lunch at this little cafe just off of Meeting Street. 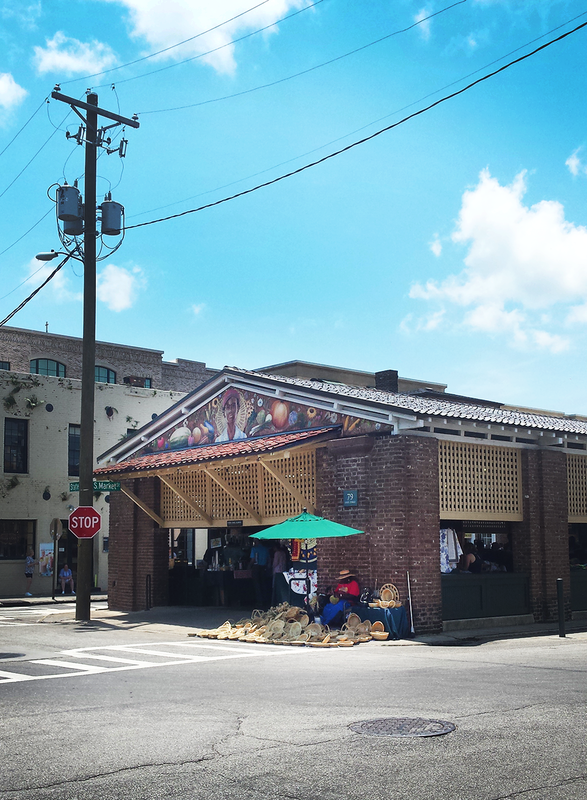 We then wandered down to the Charleston City Market to kill some time and walk off lunch. I mostly appreciated the shade and small bits of AC in the market. 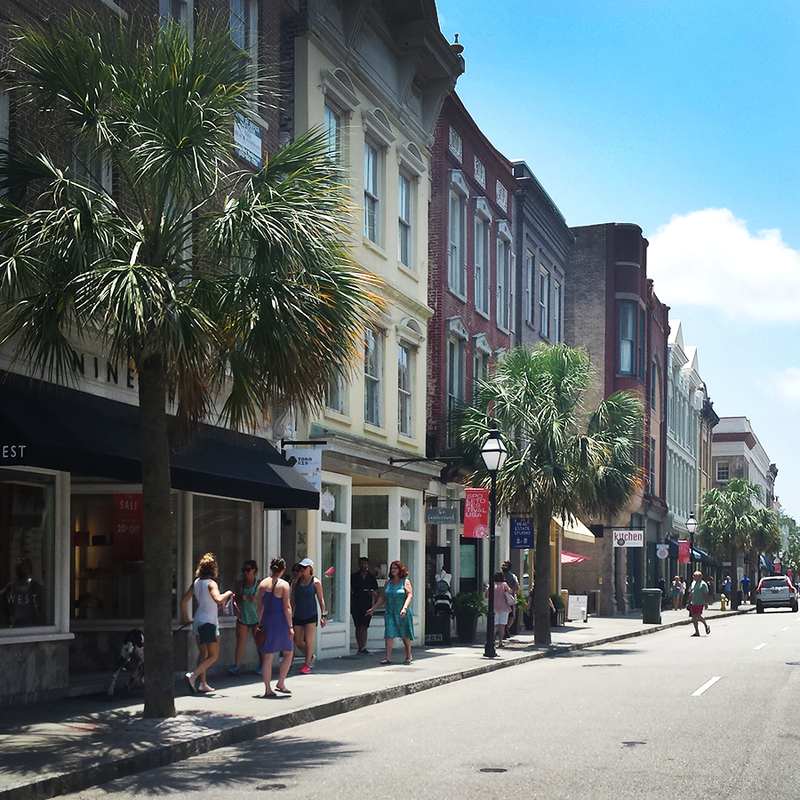 Charleston is such a beautiful city, but I’m not entirely sure I could deal with the high humidity. I was sweltering most of the time, and the bites on my legs were not happy. 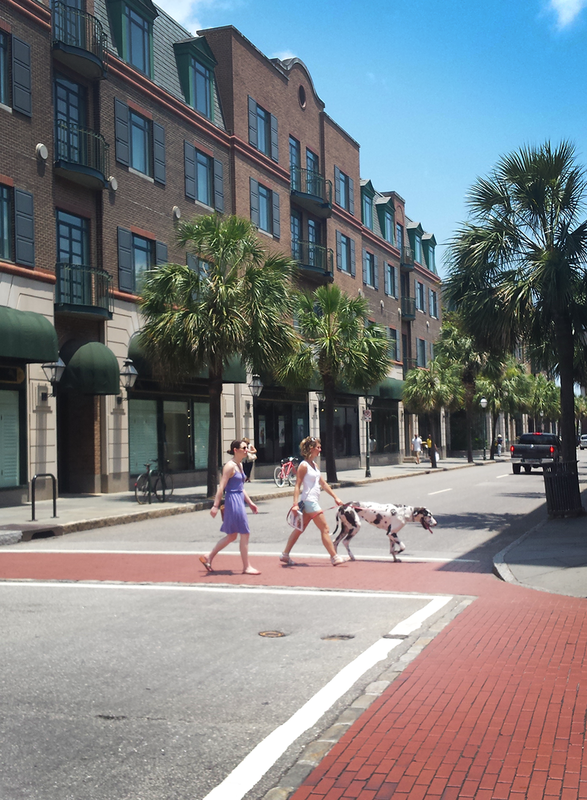 It was still lovely to see all the pretty streets, and of course the occasional awesome dog. We had to cut our venturing short to get to the bout. Like I said, that was a tough game, but we pulled a strong win and I was super chuffed with my team! We were thrilled! The after party was a ton of fun as well. 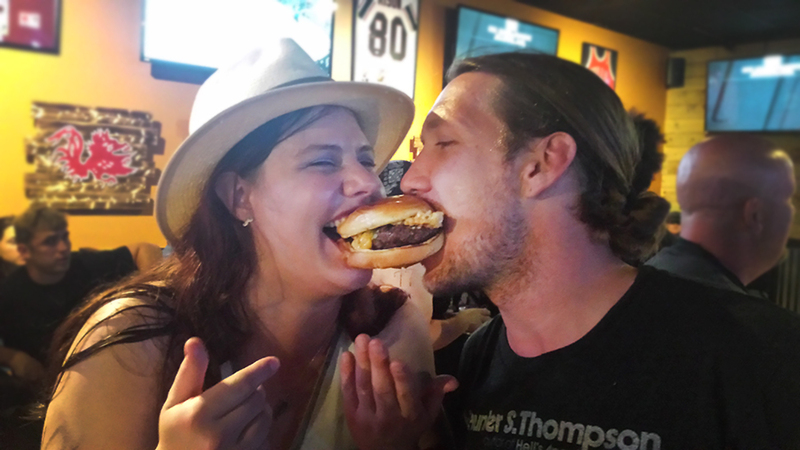 Including some “lady-and-the-tramping” burger (a mac n’ cheese burger, btw) eating with Rita and Brad. Haha! 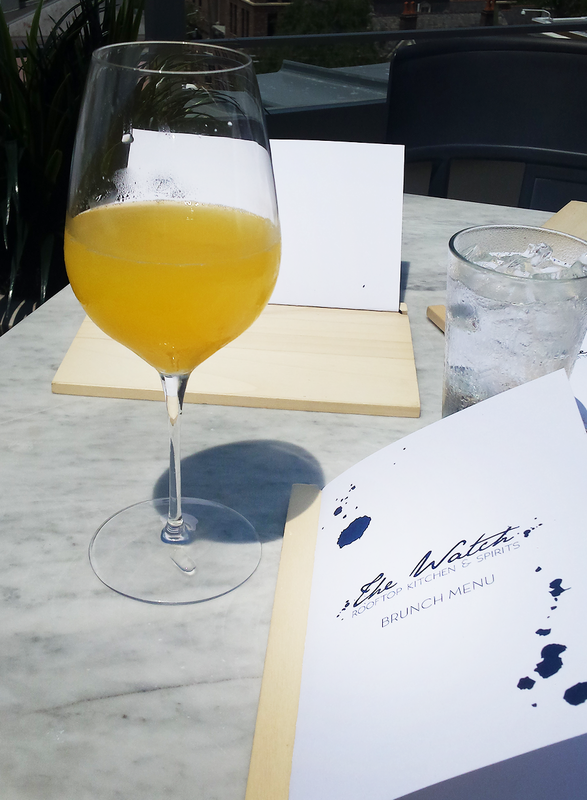 Sunday we slept in and then headed downtown to grab brunch at The Watch. SO delicious. 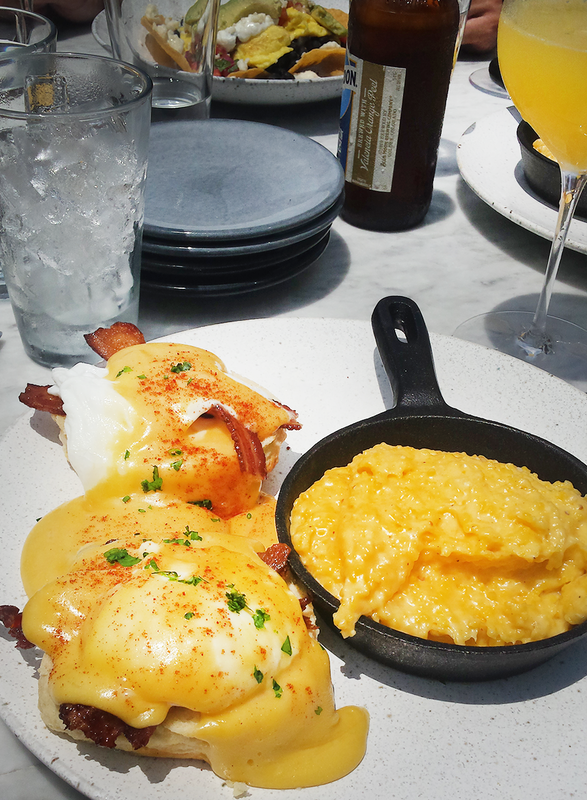 We started with a couple of mimosas and then I had the eggs benedict with cheesy grits. I can’t even begin to tell you how great this food was. I was utterly stuffed, and I just kept on eating because it was so good. I’d definitely recommend them. The view was pretty stunning as well. It was the perfect way to end the weekend! 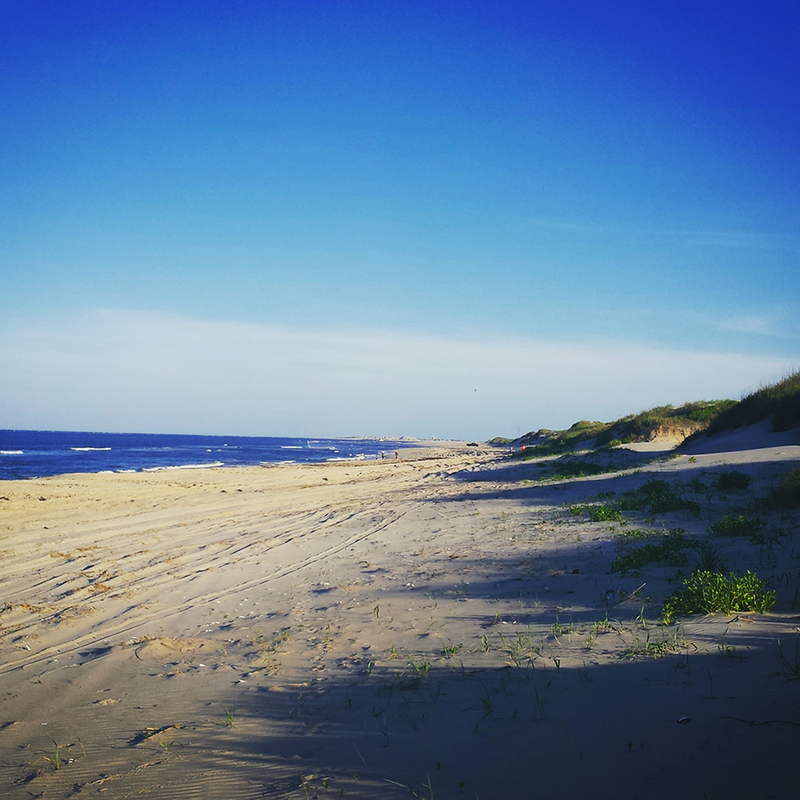 Over the Memorial Day weekend we went camping at Cape Hatteras. 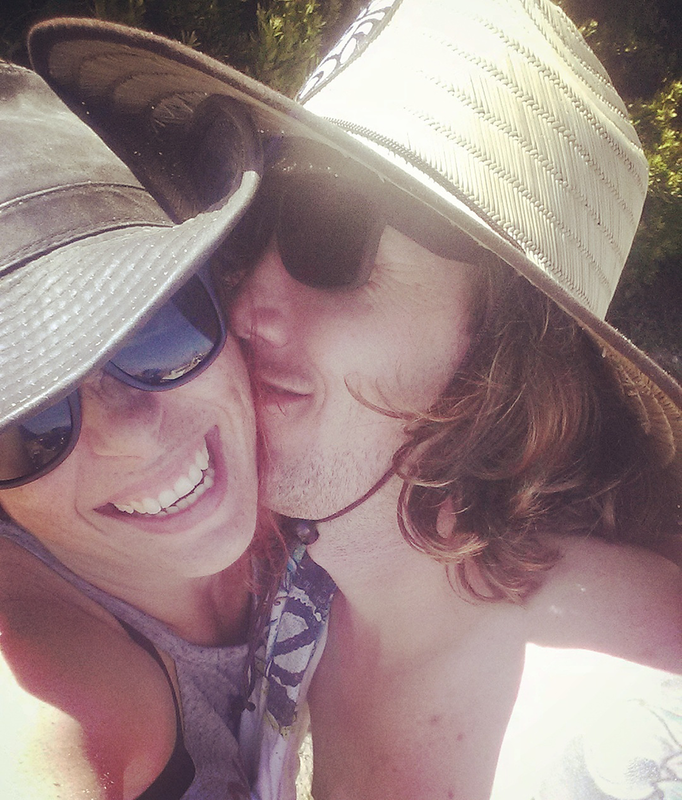 It was a wonderful weekend with the sea, sun, good friends, great laughs, and numerous beers. We stayed at the Oregon Inlet camping ground which was ideal – right behind the dunes to the beach, and super close to the marina. Nags Head was a short drive away for anything we may have needed as well. If you do ever stay at the campground though, be prepared for burrs (wear flips flips! ), and a ton of mosquitoes. We were meant to have rain the whole weekend but the weather was gorgeous until our last day, so we were super happy. 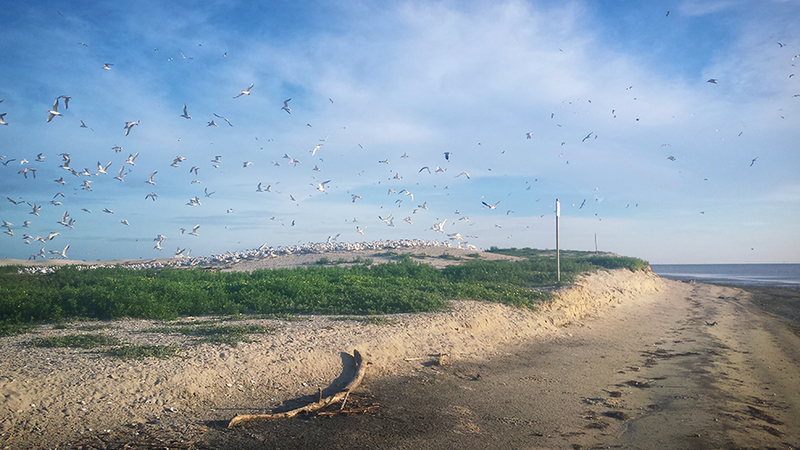 The beach was lovely in the late afternoon with hardly anyone around. 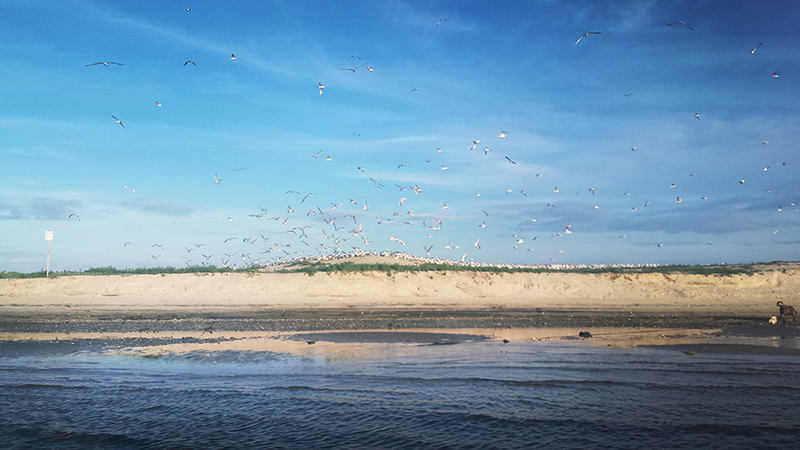 During the day it was a little manic with 4x4s all down the beach, we still had a lovely time. We met our campsite neighbours and played Bocce ball with them. Good times! One of our friends brought his boat, so we took that out late Saturday and explored some of the remote islands. We happened across some sanctuary spots which were gorgeous. Sunday we also did a boat trip to get some fishing in, but that was a little rough (the incoming storm was making it a little difficult) and I’ve since learned that perhaps boating is not for me. It was an adventure though! It was a lovely weekend though! I can’t wait to go back. 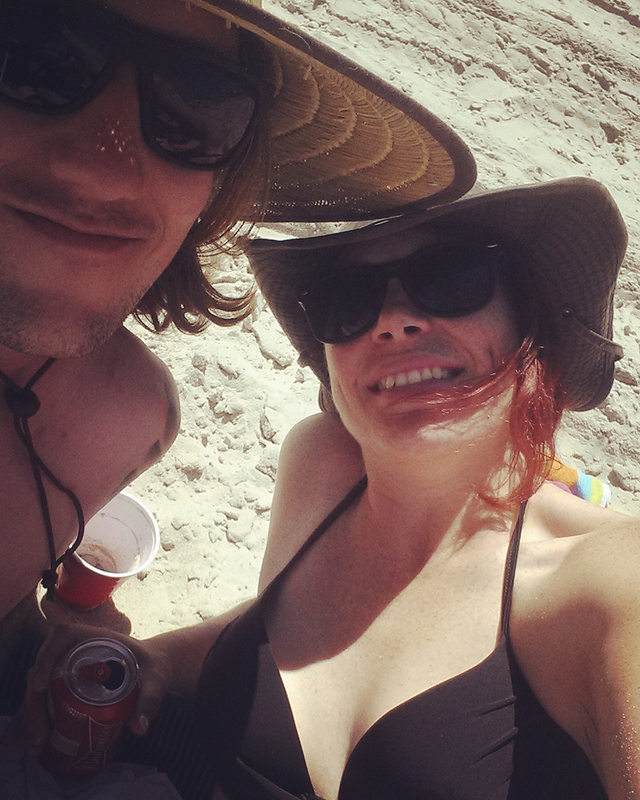 We had so many great laughs (the beer may have helped with that), and although I am still super self-conscious in a bikini, I tried to let that go and just enjoy myself. So what if I have a few extra wiggly bits, right? I only regret not seeing the wild horses. A good reason to return though.